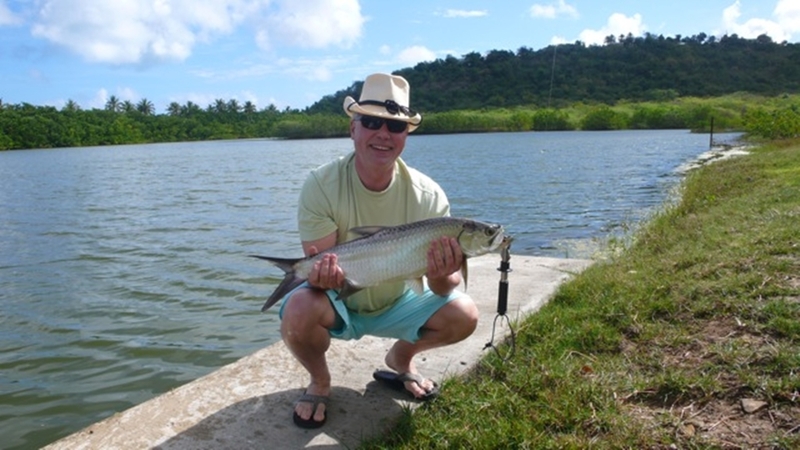 Fishing in Antigua right in front of our vacation house rentals! Have you listed the things you and your loved ones might do to make your Antigua trip unforgettable? You are in the right place because we will show you an awesome activity: Antigua fishing. Antigua is a paradise in the eastern Caribbean surrounded with water teeming with marine life which is perfect for your ultimate fishing activity. Tourists at Antigua often write about the wonderful taste of Caribbean seafood. It is not a complete vacation is you never experience the unique cuisine the locals have to offer. But imagine this: You are catching your own food, reeling your line at the lagoon, just in front of your vacation house. It sure is a wonderful experience and devouring on delicious seafood is always fantastic. Why not make your dinner even more exciting and unforgettable by catching and cooking your own fish? Antigua is a sanctuary of countless marine life so fishing at Antigua will never be boring. What can you expect to catch on your Antigua fishing activity? Actually, the possibilities here at Antigua are limitless! Catching your next kingfish or blue marlin is never impossible here! Are you a professional angler looking for a whole new level of fishing experience while having a wonderful vacation here at Antigua? You can always try deep sea fishing known as trawling here in Antigua. Do you want to feel the excitement of manual fishing while you are boarded on your boat, off shore? Try reel fishing! Tourist anglers are so happy to catch sailfish, kingfish, tuna, wahoo and even dolphins. This fishes are considered to be big game catches in sport fishing and are undoubtedly abundant in the Antigua. If you are a tourist who prefer light fishing experience you can always choose to stay inland and fish using a traditional hand line or enjoy fly-fishing. Rewards of these activities include tarpon, permit, bonefish and barracuda. Whether you are a sport fishing enthusiast or just a tourist who wants to experience the beauty of the Antiguan waters, fishing sees to it that you will be constantly entertained while giving you panorama and excitement that will bring you memories that you will cherish forever. 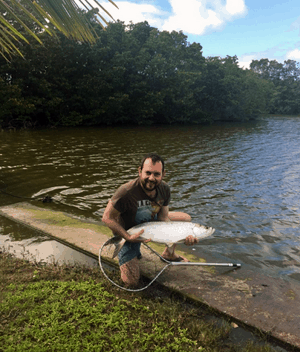 At Yepton Estate Cottages we offer you vacation houses situated in the lagoon that you can actually enjoy fishing while you are in Antigua. If you are planning to book for your next Antigua vacation, contact us so we can help you. Booking Antigua for your next vacation! Enjoy a great time with bird watching in Antigua!